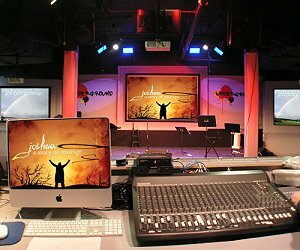 Like many churches we started our media experience with PowerPoint. When we needed more features, we started by listing the features that we thought were important that were missing from PowerPoint. If you’re looking for a way to spice things up a bit from the same old PowerPoint slides, or if you’d like to pre sent your worship graphics in a more linear way, you might give Prezi a try.